So it's come to this, I told myself as I realized my pronouncement had come true. I had jokingly told someone that I was growing so many Amaryllis this year, I was getting tired of them. Guess what? I'm tired of them! They’re beautiful, there’s no doubt. And I’ve grown them successfully, their blooms providing color in the darkest time of year. So why is it that I keep thinking they might as well be plastic? Maybe it’s all about the anticipation. Pavlova, Sweet Lillian, Zombie, Razzle Dazzle, and now Apple Blossom have given me satisfaction on a job well done, but now that the show’s about to end, I’m bored with it. Maybe it’s like a movie that’s drawn you into its reality—you know how it ends and it’s just toying with your senses with pretty scenes and compelling characters. Or when you prepare for a vacation that leaves something to be desired. Sometimes it seems I spend more time, effort and money getting ready for a trip than I do on the trip itself. And what about the Christmas holidays? We’re hardwired to look forward to the big day from the time we can grasp the concept—presents and goodies galore—sudden gratification all on the same day. It leaves us with a niggling sense that it’s all downhill from here. 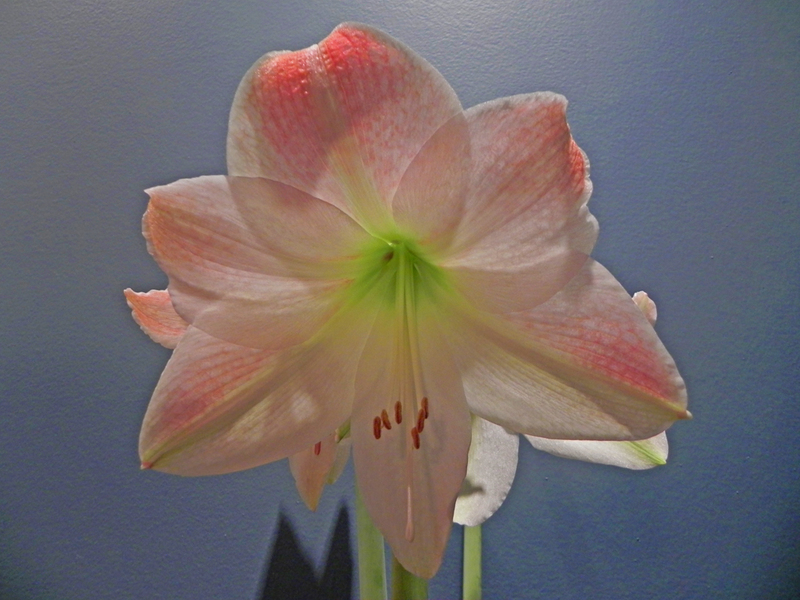 The last of the Amaryllis blooms reminds me it’s time to shift gears, to step over to the next big thing. And the next big thing is starting seeds. And what a leap of faith that is. I’ve given up on locating my leftover packets from last year and ordered more. I have the soil and the containers with the clear plastic domes. And I even have a heat mat. It’s funny how we humans are—anxious for the next excitement but disparaging instant gratification because it’s so short-lived. So I’ll gather my seeds and soil and flats and get on with it. It’s time to get over the relative ease of watching a bulb form a stem with a bud that turns into a flower that’s almost too good to be true.